One of the most-read articles on Infrics.com has been the two-part interview I did last fall with Ryan Nichols of Podio.com, the then-startup that empowers users to create and deploy their own business apps in the cloud. Today, Podio announced their acquisition by Citrix, the Fort Lauderdale, FL based firm with virtualization and collaboration products deployed widely in enterprises. 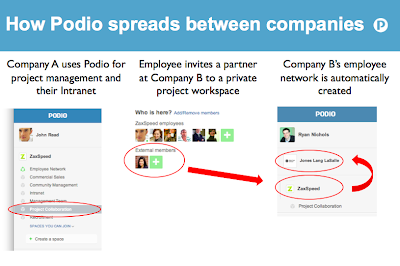 One of Podio's innovations is an architecture that places "user" above "organization," in direct contrast to most software-as-a-service (SaaS) companies. 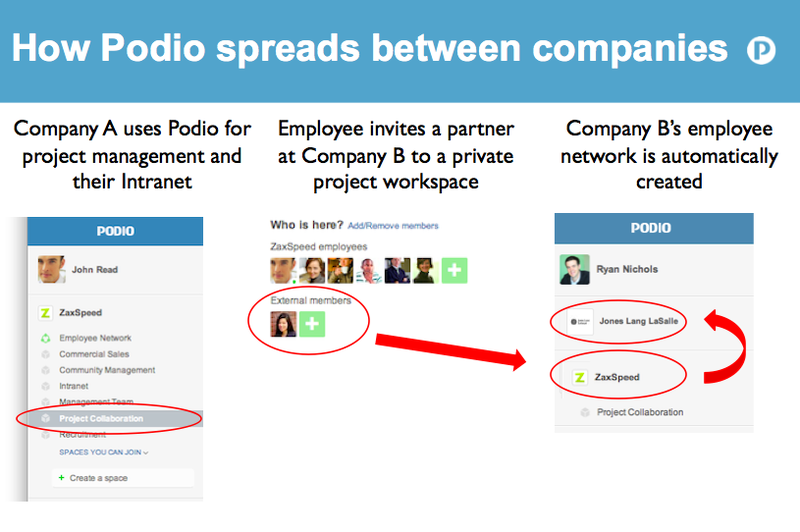 That arrangement makes it easy for one user to be part of many organizations, enabling viral sharing of Podio networks, as illustrated here. What happens when users won't play "mother may I" with IT?